This couple wins for knowing each other the longest in the history of Gina Zeidler wedding couples. Shelby and Tanner’s parents met in their birthing classes with these two still in the womb. Crazy story, right? I mean, this should be a movie y’all. The couple didn’t officially meet until kindergarten when Shelby had her first crush ever with Tanner and his Green Bay Packers windbreaker. A girl after my own heart. 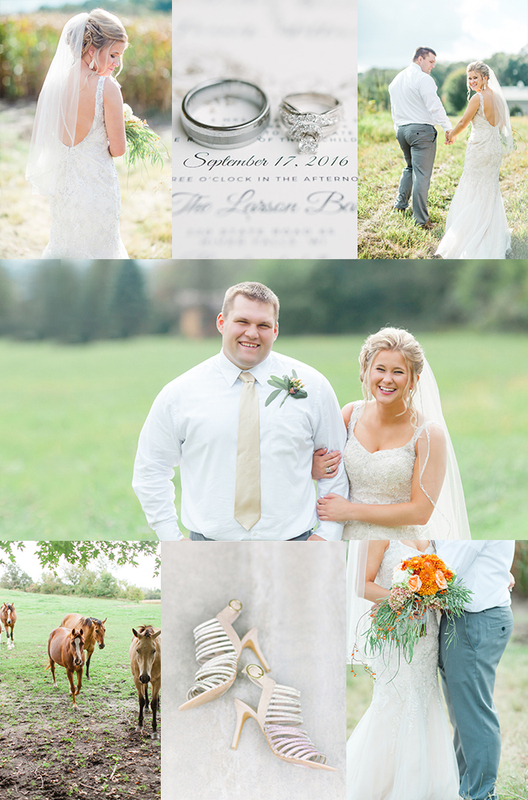 The details in this wedding are amazing from the Trellis that dad made, the pumpkins grandma and grandpa grew, a friend of the family’s barn, a wedding signature drink and live band. A Wisconsin fall wedding just doesn’t get better than that. Except for that time that this Bride had everyone in tears during their vows, including her groom. Such an amazing time at Shelby + Tanner’s big day! Enjoy looking through their families hard work and joy of the day!